* Need us to apply CITES Certificate? : --- Please Select --- Yes please! (+HK$300.00) No. I'm using in Hong Kong! 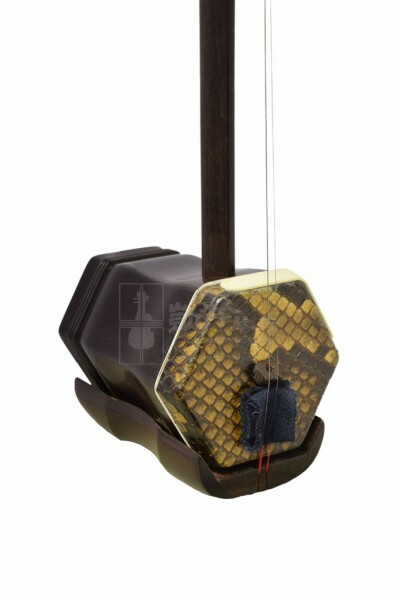 Mellow and delicate sounding Erhu made with Premium Aged Rosewood by Hu Hanrou in Shanghai. It is one of the most popular items among advanced players. With over 40 years of Erhu making experience, Hu Hanrou entered Shanghai National Music Instruments in 1971. She was an apprentice to Wang Genxing, an Erhu master maker, and received countless awards from national Erhu making competitions. With stunning and seamless tonal qualities, this Aged Rosewood Erhu by Hu Hanrou in matte finish is aesthetically elegant yet simple. Comes with a bow, a spare string set and bridge, a rosin and a case, this Aged Rosewood Erhu is not only an excellent sounding instrument for onstage performances, but also ideal for players looking to polish their skills to a professional level.